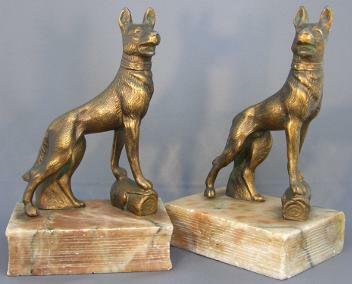 “Shepherd on a Log" by J.B. Hirsch Foundry, Circa 1930. Gray metal on marble base. 7” high x 4-1/2” wide. Weighs 6 lbs. the pair. Beautifully veined marble is carved to resemble a book. Minor age related wear. Otherwise very good condition. 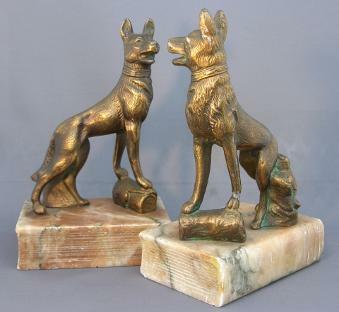 Given highest rarity rating by Collectors Encyclopedia of Bookends.